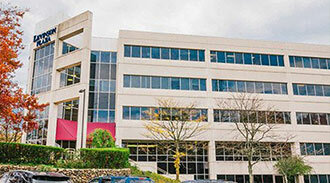 Atlantic Surgical Associates is a full-service plastic and reconstructive surgical practice. 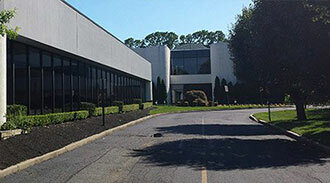 The surgeons at Atlantic Surgical Associates offer cosmetic, reconstructive, trauma and pediatric plastic surgery in West Long Branch, NJ and Edison NJ. We also help patients after home, work and auto accidents and injuries that have affected the face, limbs, and body. 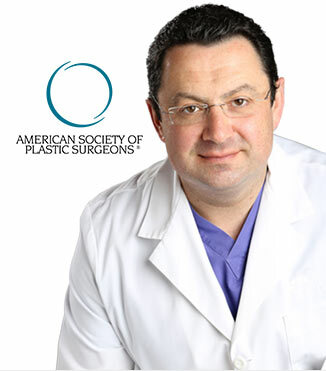 At our office, patients are cared for by our highly trained board-certified Plastic and Reconstructive Surgeon, Dr. Boris Volshteyn, who is also a fellowship trained microsurgeon. If you have questions about how our specialist and team can help you recuperate from a severe injury, contact our office today for a consultation. Dr. Volshteyn has extensive training in both cosmetic and reconstructive surgery, allowing him to help patients recover aesthetically and functionally from soft tissue injuries, face and hand fractures, amputations and complicated wounds. After obtaining his doctoral degree from the University of Missouri - Columbia, our West Long Branch and Edison board certified plastic and reconstructive surgeon, completed an internship in General Surgery and residency in plastic and reconstructive surgery, followed by clinical research and a fellowship in Microsurgery University of Missouri. Also, he completed training in Cosmetic Surgery at MEETH, Manhattan Eye, Ear and Throat Hospital in New York City and stem cell therapy and mesotherapy in Paris, France and Lausanne, Switzerland. Over the course of his career, Dr. Volshteyn has spent time working with renowned physicians across the world, allowing him to deliver advanced techniques and therapies, including laser technology and stem cells, to patients in his local community. Our doctor and team take a results-oriented approach to care, ensuring our focus is always on providing the treatments that promote comfort and function. To supply patients with everything they need to heal successfully, Dr. Volshteyn makes every effort to think outside of the box. We utilize technology that includes highly-detailed digital X-ray images to precisely map out your treatment plan. As a specialist, Dr. Volshteyn sees many patients for surgical revisions, as initial treatment may not have provided the desired aesthetics or functional outcome. With early treatment and a detailed examination of how soft tissue and bone interact, Dr. Volshteyn sculpts and rebuilds complex physical structures damaged by injury or insufficiently repaired by other physicians and surgeons. Our specialist’s skill in repositioning soft tissue and underlying muscles helps patients feel like themselves again and enjoy improved confidence in their health, functionality, and appearance. If you have suffered a physical injury, the team at Atlantic Surgical Associates encourages you to call today and schedule an emergency appointment. It’s imperative to see a reconstructive expert immediately after initial injury and receive timely and professional medical and surgical treatment. In many cases, patients wait until have swelling has subsided before they notice that bones have healed in a less-than-ideal position or medical care that did not focus on post-treatment appearance created indentations or challenging to correct deformities of soft tissue. Dr. Volshteyn can provide early care that may prevent the need for more complex surgery to re-treat affected areas. Prompt attention from a reconstructive surgeon with extensive and comprehensive training is the best way to ensure the final aesthetic and functional results. We welcome patients to browse our website to learn more about available procedures and to familiarize themselves with our West Long Branch, NJ and Edison NJ surgeon, Dr. Volshteyn. To schedule an appointment to meet Dr. Volshteyn, please call 732-641-3350.